This year's award was presented to Blake Rhodes who for many years has been both the voice of West Marin Little League and one of the most dedicated and influencial members of our board of directors and West Marin Little League community. 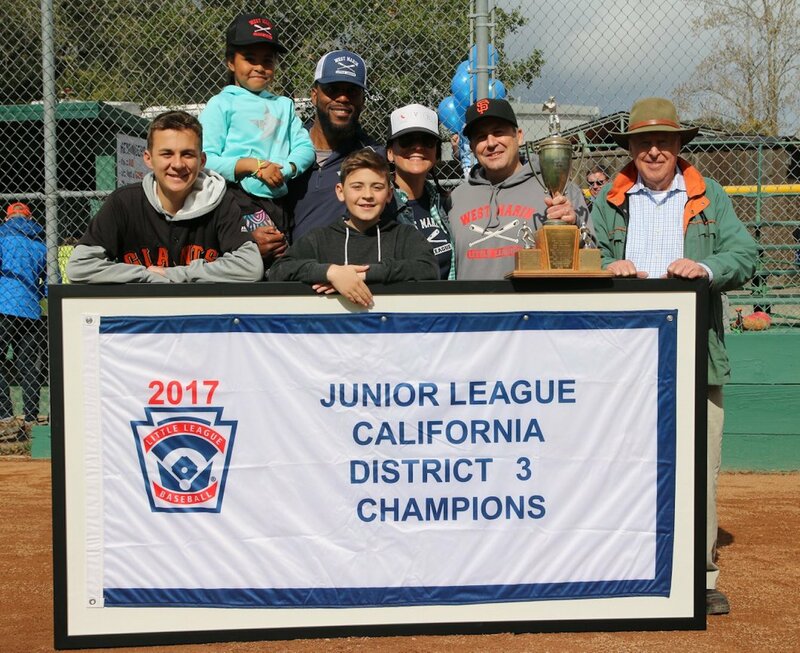 Blake's tireless efforts and tremendous contrbutions have helped shaped the lives of hundreds of young men and women and have transformed the legacy of West Marin Little League for many years to come. His fingerprints are all over our success and his impact will be long lasting. Congratulations Blake. We can't think of a more worthy name to be etched onto this trophy, which has been proudly presented by our league since 1969. We are glad you could enjoy this special day (on your favorite day of the year - Opening Day) with your family including your father Skip Rhodes, your wife Carin Rhodes and both of your sons Hayden and Brody.